120 VAC Power Supply Unit Power supply with transformer, 120 VAC input, for an AUTODOME or MIC7000 Series PTZ camera. 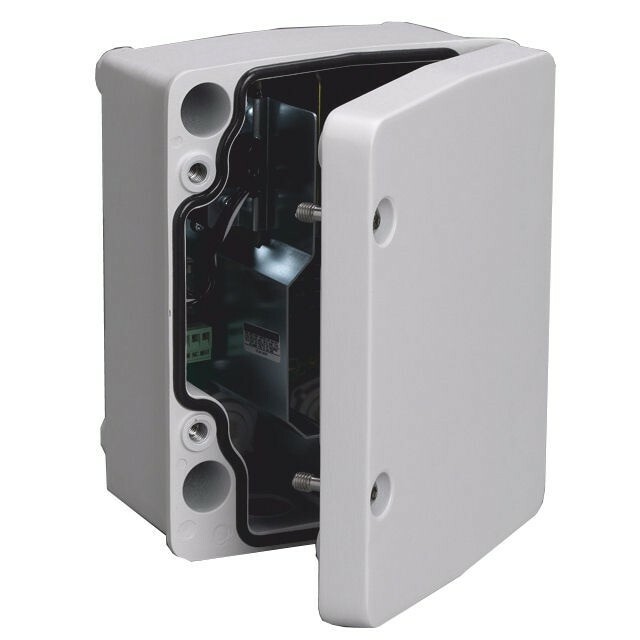 White, aluminum enclosure with cover, rated IP66 and IK 08. 100 W output. Optional trim skirt (sold separately).